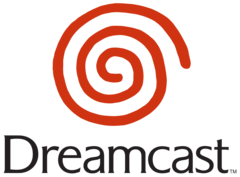 Dreamcast was the fifth, and final, home console by Sega. It was released in Japan on November 27, 1998, in North America on September 9, 1999, in Europe on October 14, 1999, and in Oceania on November 30, 1999. Sega announced that it was discontinuing the console on January 23, 2001. Production of new games continued in North America until spring 2002, in Europe and Oceania until winter 2002, and in Japan until 2007. However, it continues to have an active commercial life among independent game developers. This page was last edited on 17 April 2019, at 15:44.